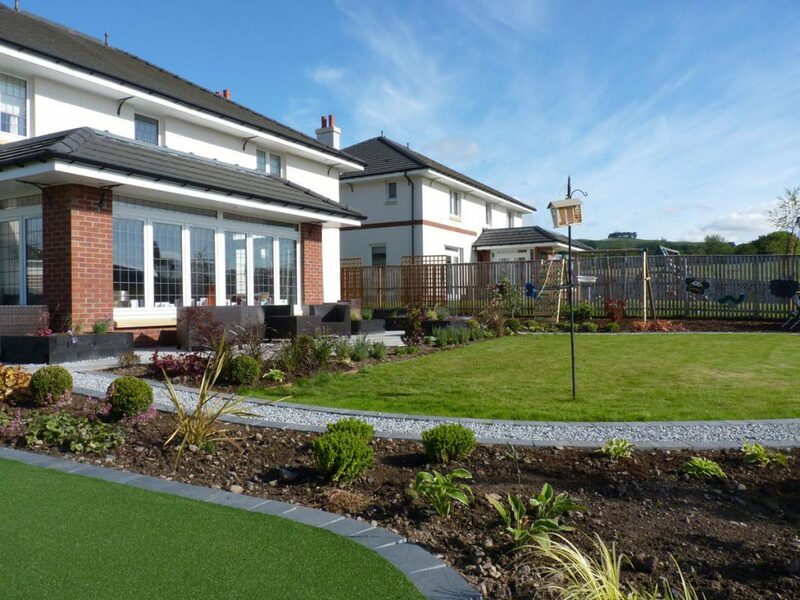 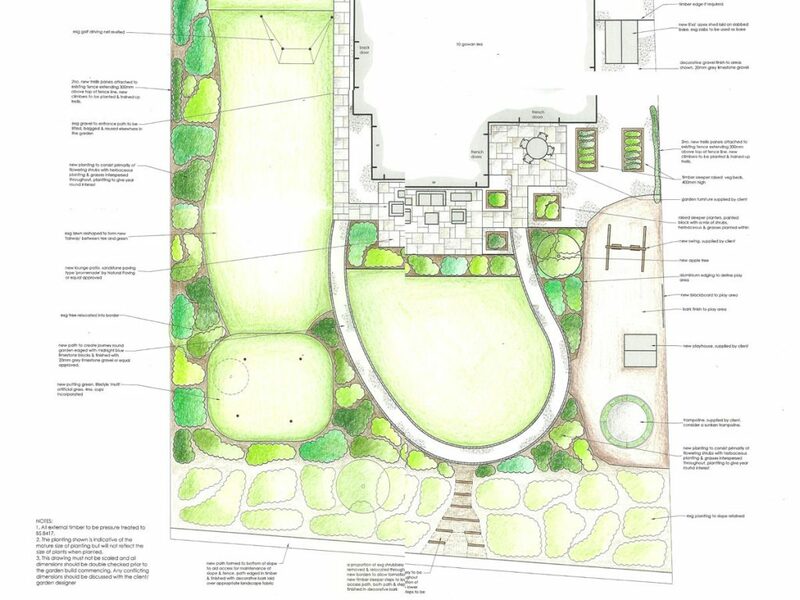 Our clients had a brief for us which we had never had before – to include a golf hole in the garden design! 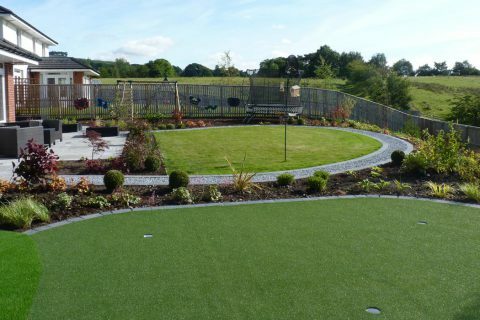 Their son was a keen golfer so they were keen for him to be able to practise his favourite past-time as much as possible so incorporating a pitch and putt into their large garden was part of their wish-list. 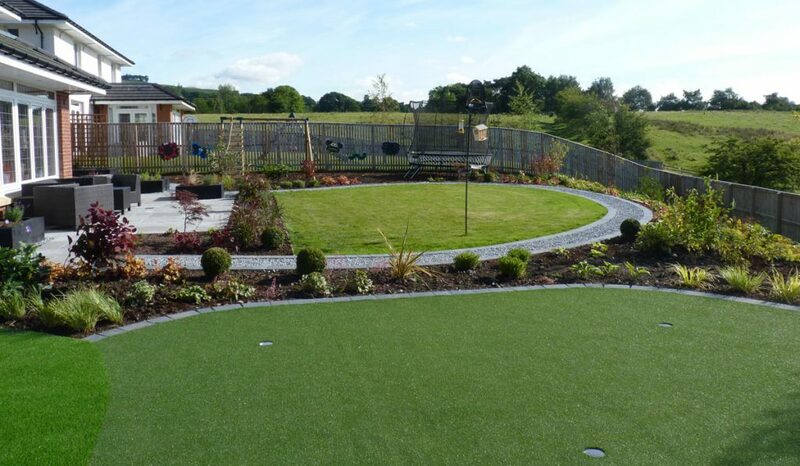 Seating areas, raised beds and a play area were also to be included. And with the wonderful views beyond, it was important to be able to relax and enjoy them. 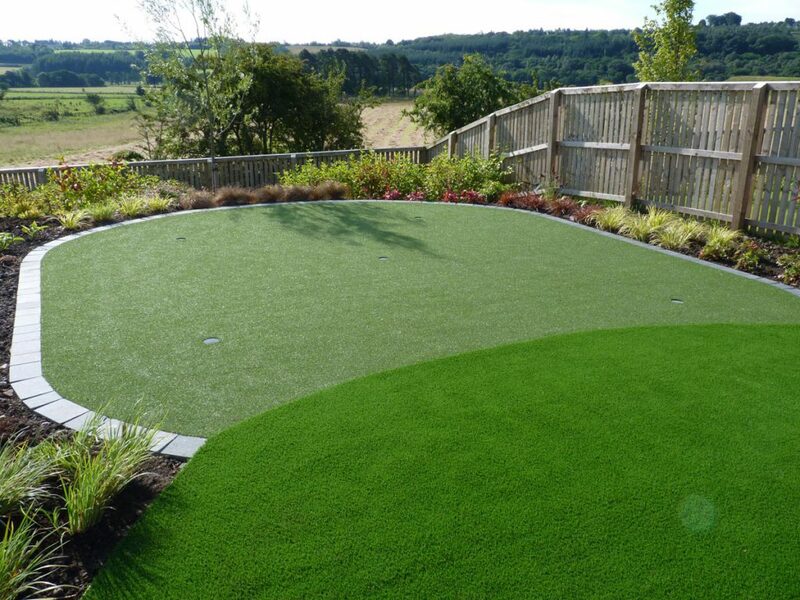 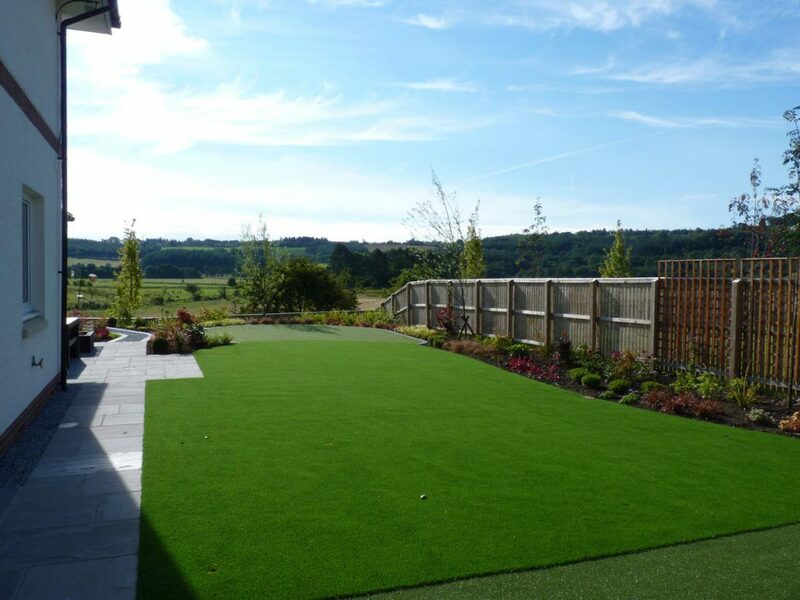 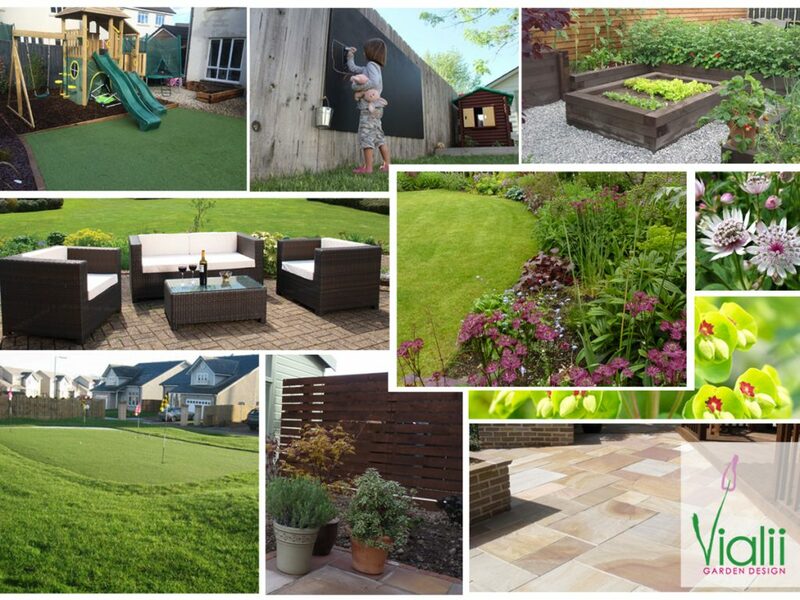 "Incorporating a golf hole into the garden design was an unusual brief for us!" 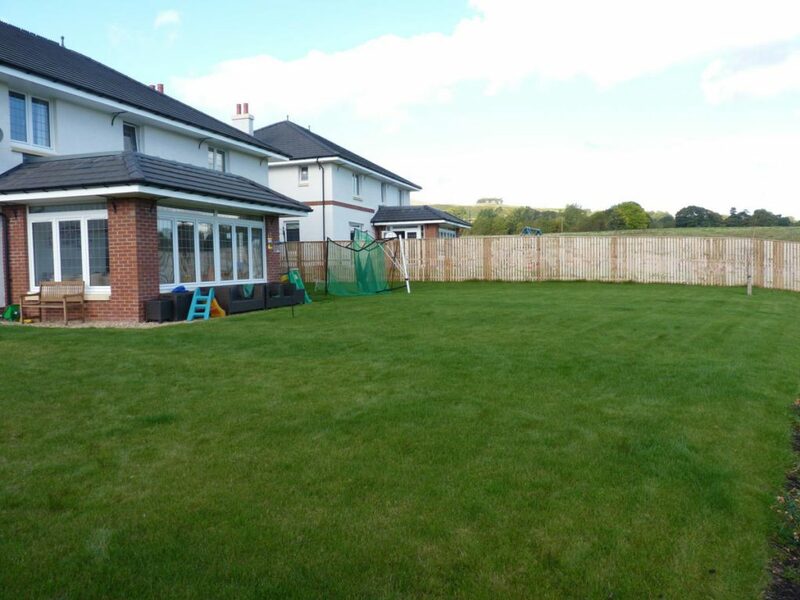 The “fairway” and golf holes take up one side of the house. 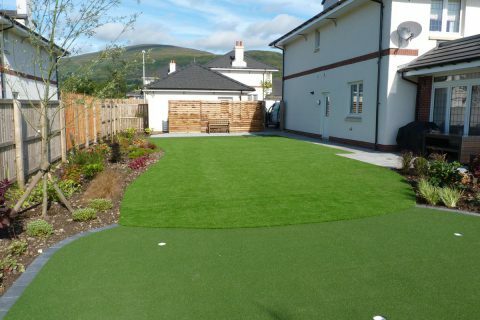 We have used a mix of two different artificial grasses to replicate the varying grasses of a golf course. 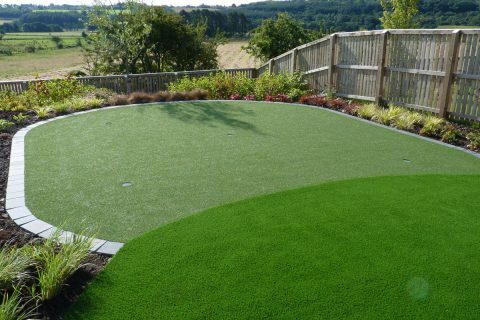 A specialist grass for the green was installed with purpose-built golf holes. 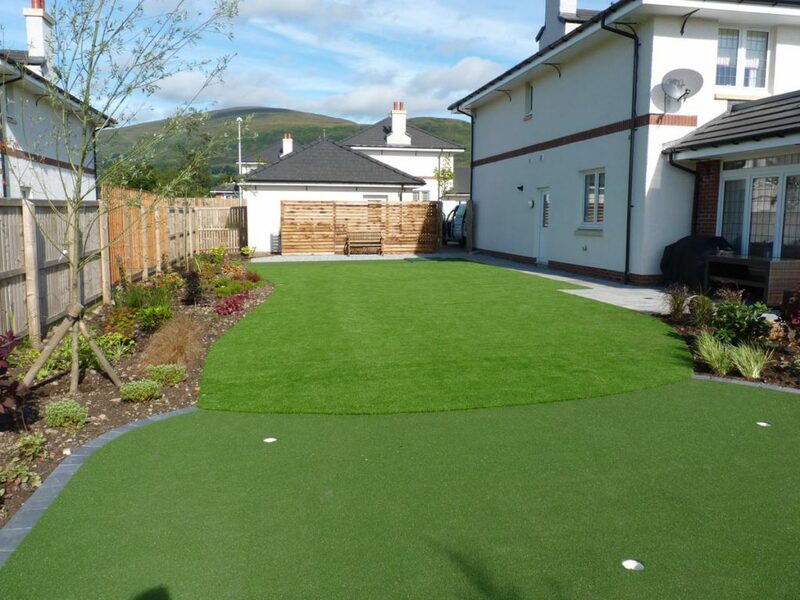 The clients can now practise golf all year round, whatever the weather! 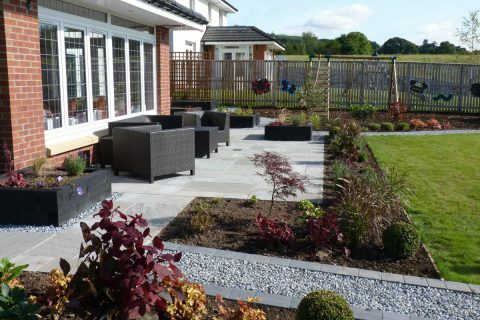 At the back of the house a new grey sandstone patio provides ample seating area to enjoy the views. 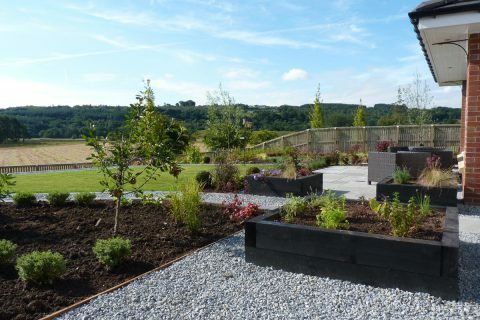 Raised beds at the patio provide interest and additional planting space and are stained black to complement the grey paving. 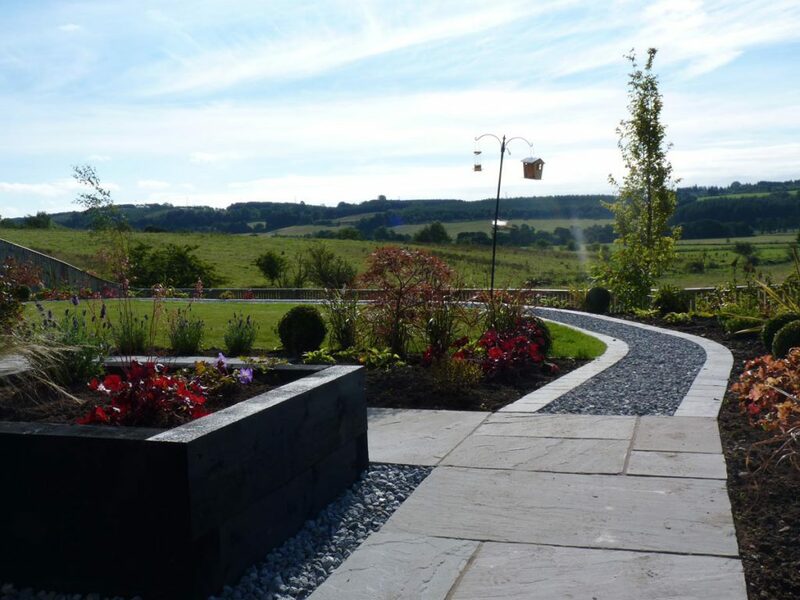 A limestone gravel path edged in black limestone setts leads you on a journey around the garden. 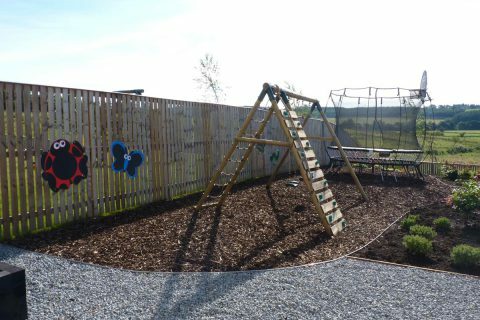 A new play area to the side of the house has a climbing frame and cute blackboards for the younger members of the family. 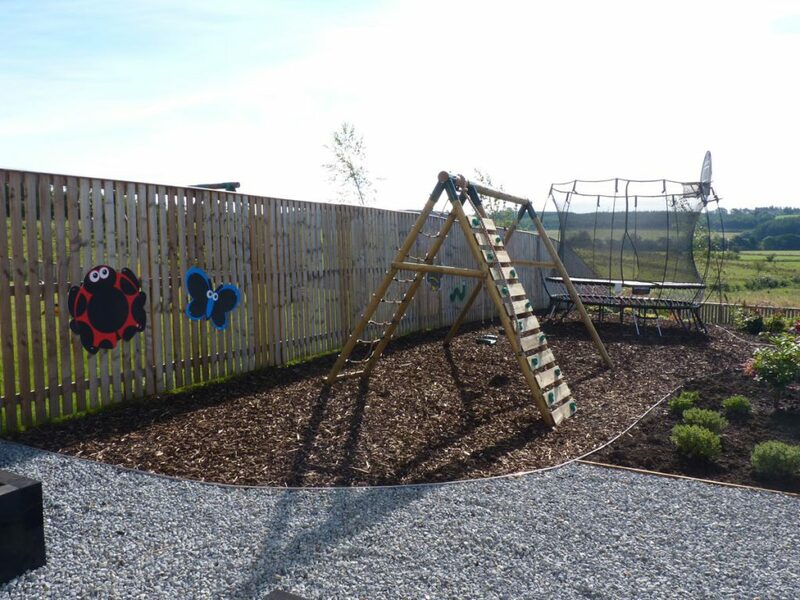 There is a bark finish to the play area. 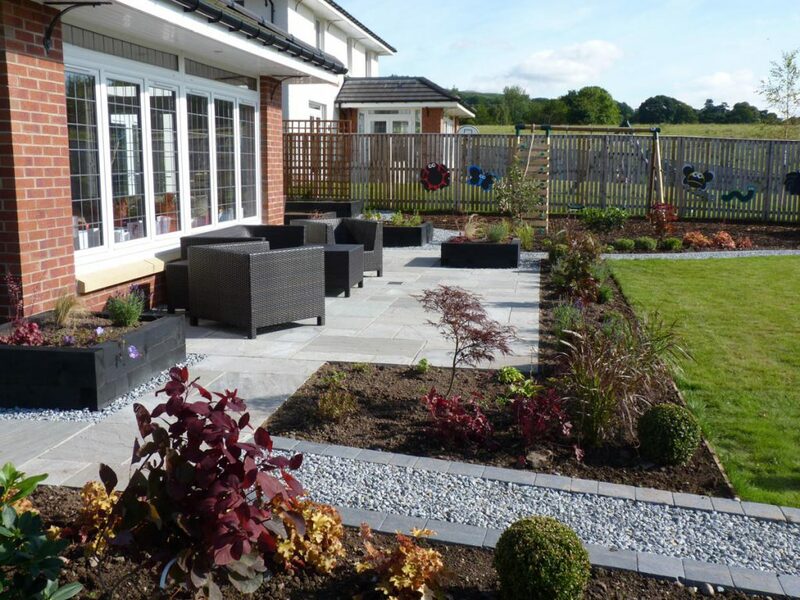 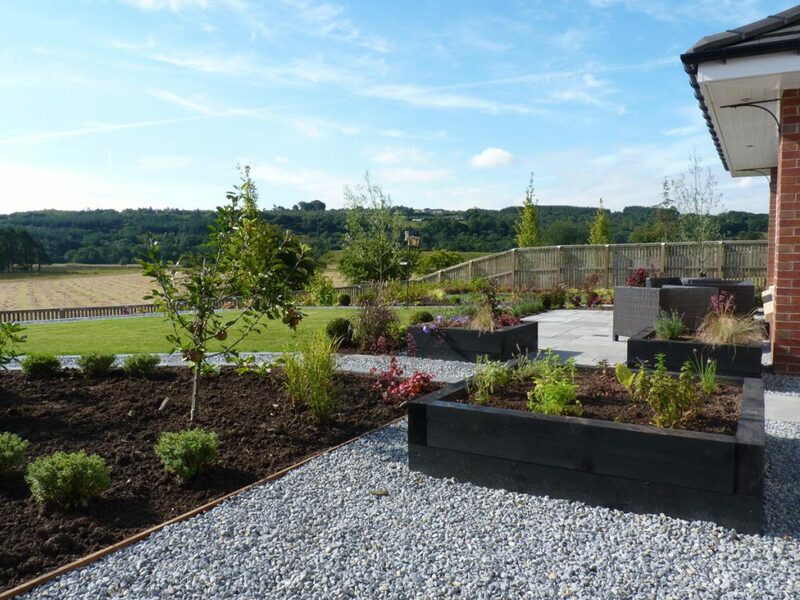 The planting provides year round interest with a hint of orange, the client’s favourite colour. 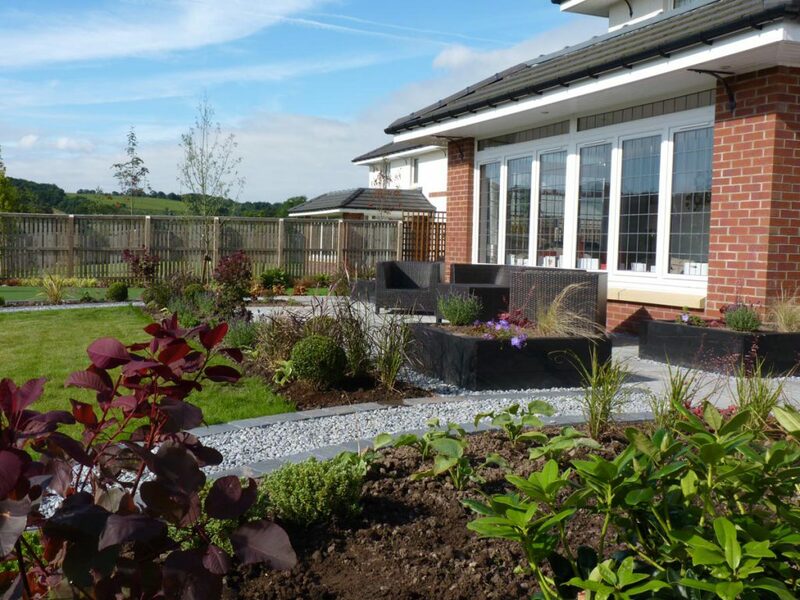 Shrubs include phormium ‘Apricot Queen’, Crocosmia, and euonymus alatus. 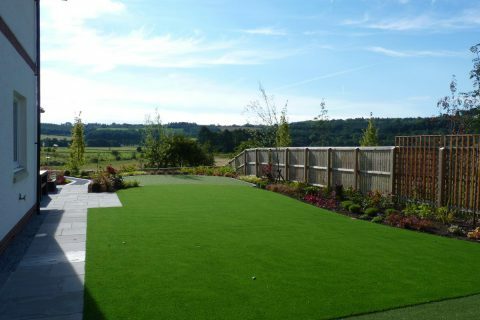 A wide range of grasses included uncinia, stipa, miscanthus and acorus. 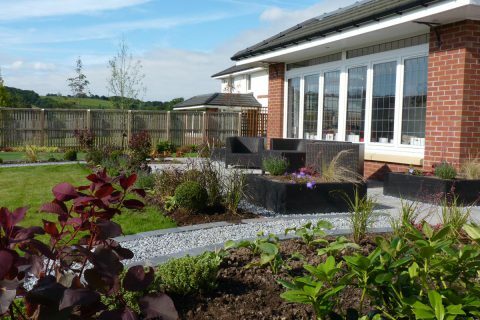 Herbaceous included hostas, meconopsis and geranium. 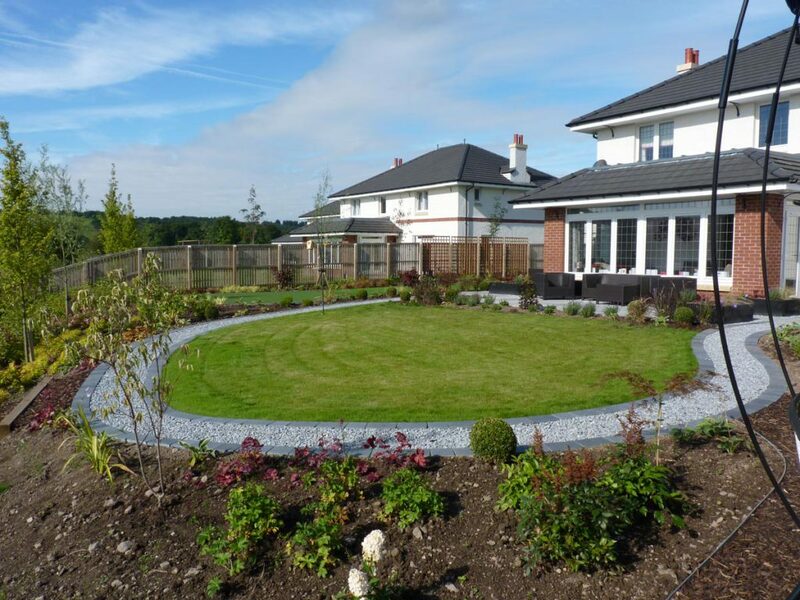 Several acers and an apple tree were included to add height.